An Outstanding Performance Award for presenting 500 and 1000 hours of classroom instruction. The Astronaut Personal Achievement Award (Snoopy pin) on two occasions, presented by Astronauts Scott, and Borman. A Personal Achievement Award for his development of the "Instant Failure Analysis" information. 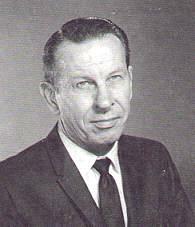 Prior to joining North American Aviation Leonard served in the U.S. Air Force where he attained the rank of Lt. Colonel. Len was dually ranked as a Pilot, and Electronic Countermeasures (ECM) officer. He flew thirty missions as a B-24 pilot during WW II. Leonard retired from the Air Force in 1963 and accepted a position with the Space & Information Systems Division of North American Aviation. In view of his military ECM experience, and his experience as a pilot, he was assigned to the Logistics Training Department as an Instructor on the Apollo Electrical Power System. In this position, he prepared and presented courses for NASA Astronauts, Flight Controllers, and launch personnel. He also presented these courses to company engineers and technicians on occasion. Leonard participated in the Apollo-Soyuz program to brief Cosmonauts on the Apollo Electrical Power System. He prepared multi-lingual training material to support this briefing with the assistance of an interpreter. 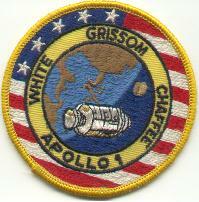 In addition to his training tasks, he assisted in the preparation of the Apollo Operations Handbook. He also developed an "Instant Failure Analysis" paper for the Apollo crew to enable them to evaluate the system status if power circuit breaker(s) tripped. This allowed the crew to quickly determine system loss and remaining functions. Len worked with other instructors to finalize and complete this information. After working with the NASA in Houston, Texas for a brief period, Len retired again in 1976, and resides in Southern California.